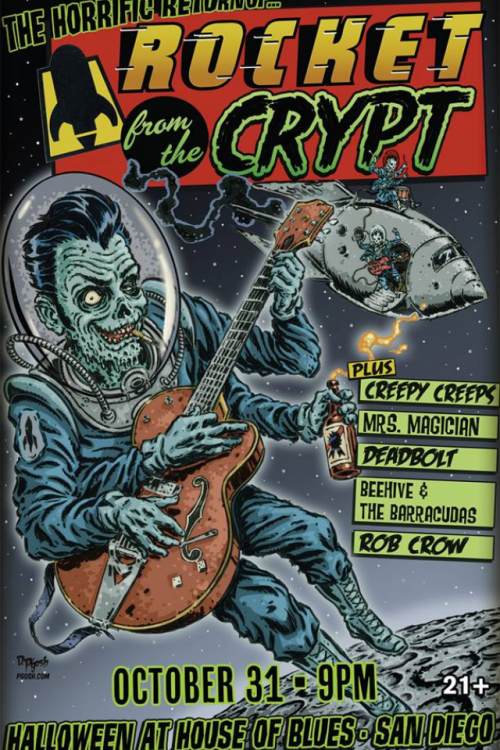 Celebrate The Creepy Creeps 13th Anniversary at this mega Halloween show in San Diego on October 31, at The House of Blues opening for Rocket From The Crypt along with Deadbolt and others! Come one, come all to the Creepiest show around. Tickets are selling fast. Here is the link for tickets, don’t say we didn’t warn ya! The Creepy Creeps albums and CDs are available in the Dionysus Records Online Shop, select record stores and from the band at their shows!